Hey nerds! 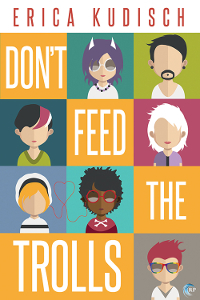 Erica Kudisch here promoting my novel DON’T FEED THE TROLLS, a genderqueer romp through internet drama. 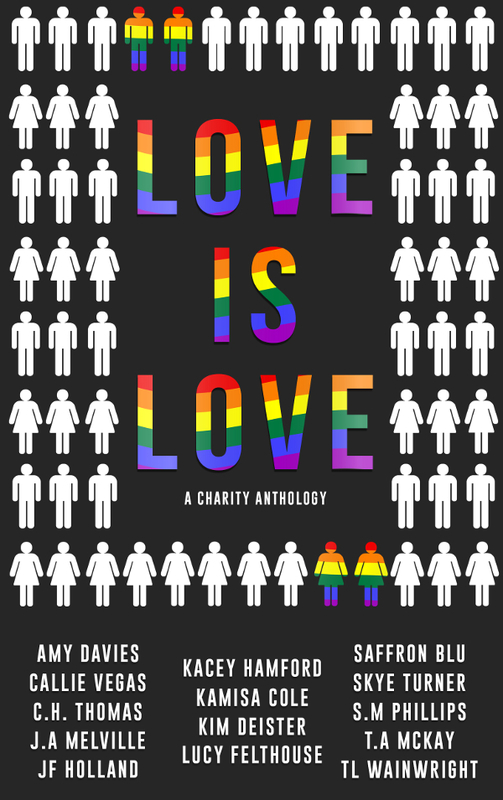 And if you keep up with the blog tour and its bonus DLC, there’s a $50 prize package achievement for you to unlock. Have fun! When I was designing the concept of the MMO Daphnis, Orin, and Laura play, I tried to create a game that would stand out from the horde. Most MMOs are either in variants of the Standard Fantasy Setting or deep space; the game I based Eternal Reign on, EVE Online, is a deep space sci-fi extravaganza. Since I was using Twelfth Night as my plot inspiration, which starts with a shipwreck, I thought it might be cool to build an MMO around the Age of Exploration and Imperialism, with a decidedly tudoresque flavor, and once I tapped that node the rest fell into place. Eternal Reign is built on the idea that when Magellan sailed off the edge of the world, he wound up in an endless ocean, studded with archipelagos and, of course, already inhabited. The arrival of the humans–Settlers, in game parlance–complicates the war between the indigenous Kharthi and Aqueian peoples. There’s a prevalence in game setting design of having one race that’s “basically elves” and one that’s “basically dwarves”, to differentiate them from human jacks-of-all-trades: Since I was trying to make a game that reflects those problems in the current industry, the Aqueians are the agile and magical “elf” race of insular merfolk, and the Kharthi get “dwarf” defensive and offensive bonuses and are portrayed as expansionist landborne industrialists. Because of course some Settlers go off-mission and start lives with the indigenous population, the Touched race is included as a kind of half-elf designation, and the offworld Liqing shipwrights were added in an expansion when players called for more diversity. (Because diversity isn’t built into the gaming industry, and when they try it can be awkward, so it takes a lot of public push to get stuff done.) All player characters start at the rank of Knight, and begin with small holdings (either land, sea demesne, or a ship). But the choices don’t stop there. Eternal Reign, like its inspiration EVE Online, is meant to be so open-world that players effectively create their own content. They can stay in secure, “charted” territory, dip their toe in risky “controlled” territory, or venture out into uncharted waters and risk death in the mouth of something unpleasant. Players call it the “Saltwater Sandbox” because once they’re in that endless ocean, they get to make their own games by consensus. Common playstyles include piracy (stealing the holdings of other players), convoy (collaborating with the more advanced players in your area to facilitate transportation or territory reclamation), sabotage (infiltrating another player’s holdings for your own faction), and mercantilism (yes, people really do create in-game markets and hunt, trade, or alchemitize materials for other players). But, unfettered by developer-created mission constraints, players can get especially creative about the kinds of stories they want to tell. I’m not a big expert on MMOs to say the least, but gender in gaming is definitely worth exploring! I haven’t played many MMOs but I like to mix up the characters I play. It’s fun and you actually learn interesting traits. Ohhh this game sounds so cool. If only it were real… but without the homophobia, transphobia, and sexism. I don’t play MMOs at all, however your story game sounds quite intriguing.